Have lunch or dinner TODAY while supporting a great cause! Rotary supports many local projects, scholarships and more in our community. For group orders or any questions, contact Melissa Wise at 620-215-0678. 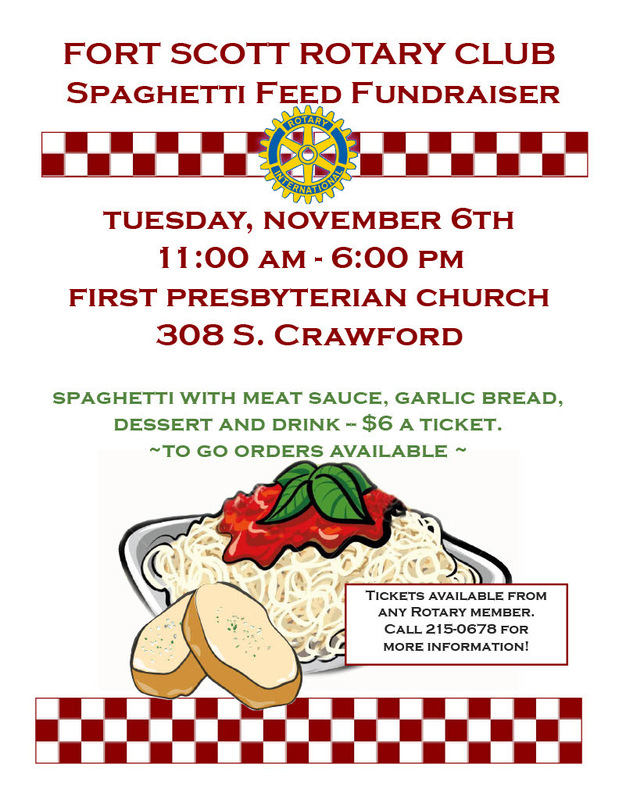 Spaghetti, garlic bread, dessert and drink for only $6! !